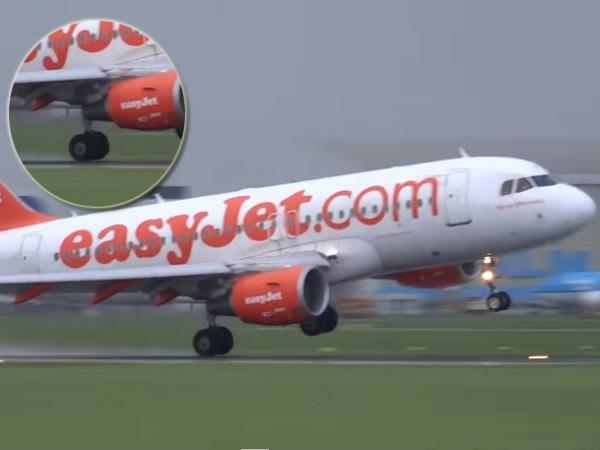 This incredible video shows the moment when an EasyJet aircraft landing at Schiphol airport, Amsterdam, had to abort the landing in a strong wind. As the East Jet aircraft nears the ground the wind seems to affect its flight path. The right wheel touches the ground for a moment before the plane begins to ascend. Then it tries to land again, this time successfully. “As a safety precaution and in line with our procedures, our pilots are well trained to abort landings and try again. The safety of passengers and crew is out greatest priority,” EasyJet said in a statement. Afraid of flying? You might not want to watch this.